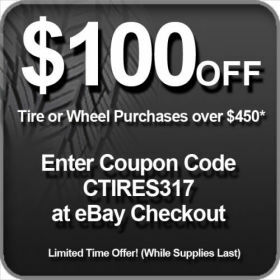 I happened across a crazy deal on stock-sized tires through Discount Tire Direct on Ebay. 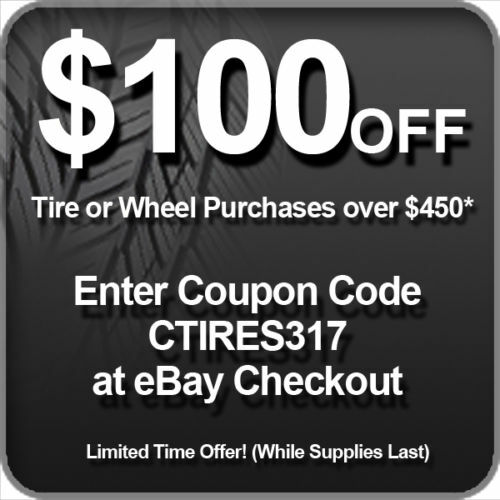 They are currently offering a promo code giving buyers $100 off any set of tires priced $450+. The Hankook Ventus V12 Evo2 tires in 225/45r17 and 245/40r17 happen to add up to exactly $450. On top of that, Hankook just posted a mail-in-rebate for an additional $100 off a set of Ventus V12s. The mail-in-rebate is in the form of an American Express card, but it's still a pretty awesome deal. Here's what to do. Click on "Add to Cart" on both of the listings so that your cart total is $450+. There you go, brand news tires for $250 shipped. I've had Hankook Ventus tires on my personal coupe for 3.5 years and like them a lot. They may not quite be Pilot SuperSports, but you can go through 3 sets for the price.